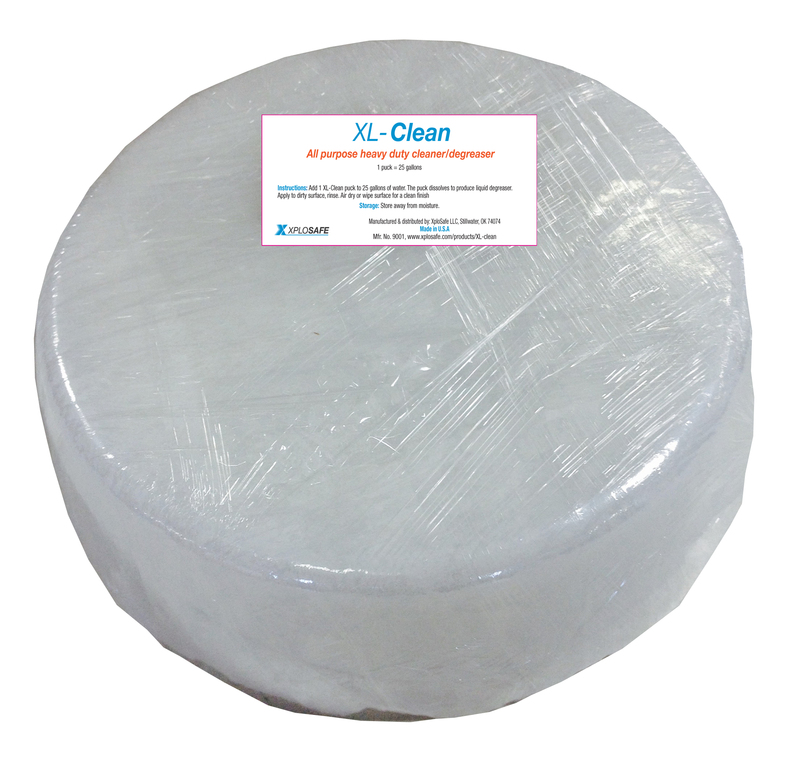 XL-Clean is designed to remove oil, dirt, grease and other deposits from different surfaces (including wood, plastic, concrete, porcelain, and metal surfaces). It is a special blend of surfactants, builders, degreasing agents, citrus extracts and environmentally safe organic binder. Solid degreaser is easy to store and can be generated on demand. Add 1 XL-Clean puck to 25 gallons of water. The puck dissolves to produce liquid degreaser. Apply to dirty surface, rinse. Air dry or wipe surface for a clean finish.